Product Liability Attorney in St Louis, MO. Gary Burger and his associates are personal injury Lawyers who are highly skilled in all areas of personal injury including product liability. Product liability claims are made under a state’s common law. Missouri and other states have basic laws in place that protect citizens who become injured by a product that is unreasonably dangerous for it’s foreseeable or reasonably anticipated use, and the distributor and/or manufacturer of that product can be held liable for injuries and deaths resulting from their dangerous products. If you or a loved one has been injured as a result of a dangerous product, it’s important to hire a product liability attorney from Burger Law to investigate and fight for the compensation you deserve. If there is a defect or dangerous condition in a manufactured product, it should be engineered out. If it cannot be engineered out, it should be adequately warned against. Thus, as a part of a products liability claim, the manufacturer or distributor can attempt to ameliorate his/her liability by asserting that they properly warned against potential dangers in a product (for instance, wear safety goggles while operating a chainsaw). However, sometimes manufacturers provide warnings that are inadequate and do not clearly inform the purchasers or users of a product about its dangers. Why Should Burger Law Handle Your Product Liability Claim? There are a myriad of products with safety defects that Gary Burger and his associates, along with many other personal injury lawyers, have worked tirelessly to improve the safety of in the United States and abroad. It’s important to understand that if a manufacturer cannot be identified for an unsafe consumer product, the distributors who handle the product in the “stream of commerce” can be held liable for injuries resulting from the defect or dangerous condition. A dangerous condition from a product can cause injuries and even death. As St Louis product liability lawyers, we often review the Consumer Products Safety Commission’s bulletins and postings to find out what products are dangerous or have become recalled. 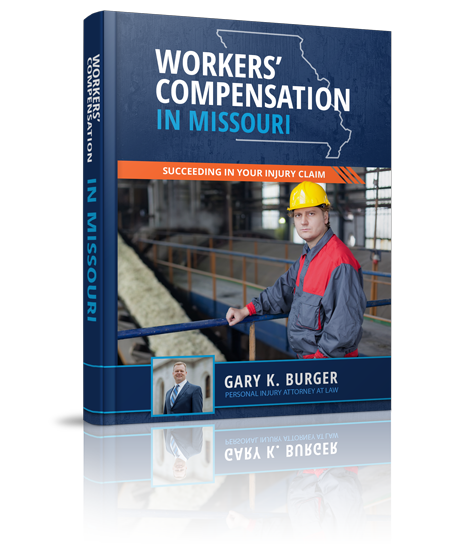 If you are in need of a product liability lawyer to assist you in a defective product case, allow Gary Burger and his associates fight for the compensation you deserve. To get started on your free case evaluation, contact Burger Law today. What Products are most often involved in Product Liability Claims? Product Liability claims can arise from known defects in a product such as a car’s likelihood to roll in the event of an accident, a phone’s battery that is likely explode if it gets too hot, or airbags that either fail to deploy or when they do, they deploy with a force that is dangerous to the passenger it is trying to protect. These are the more known types of product liability claims. However, poorly designed playground equipment, toys that are inherently dangerous, and mechanical tools that don’t have the proper safety features can also be considered as product liability claims.